I am back from the funeral and slowly recovering from the travel and stress of the past three weeks. While in Wyoming, I really enjoyed sitting at Grandma’s kitchen table with our family, going through photo albums and reminiscing. I brought home a few old photos and wanted to share two of my favorites. 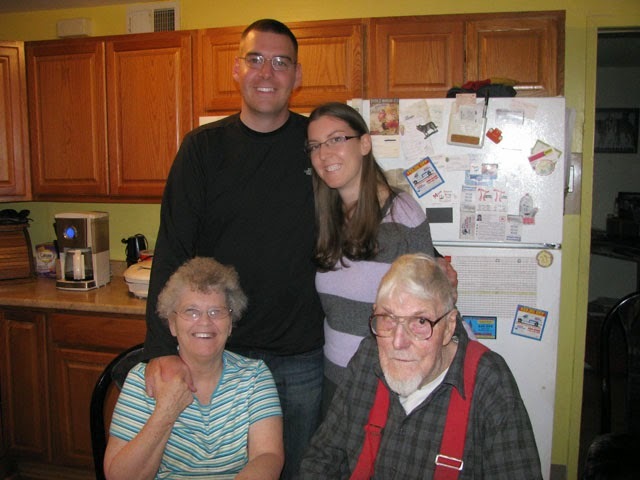 This is one of the last photos taken of my brother, grandmother, grandfather and I together. 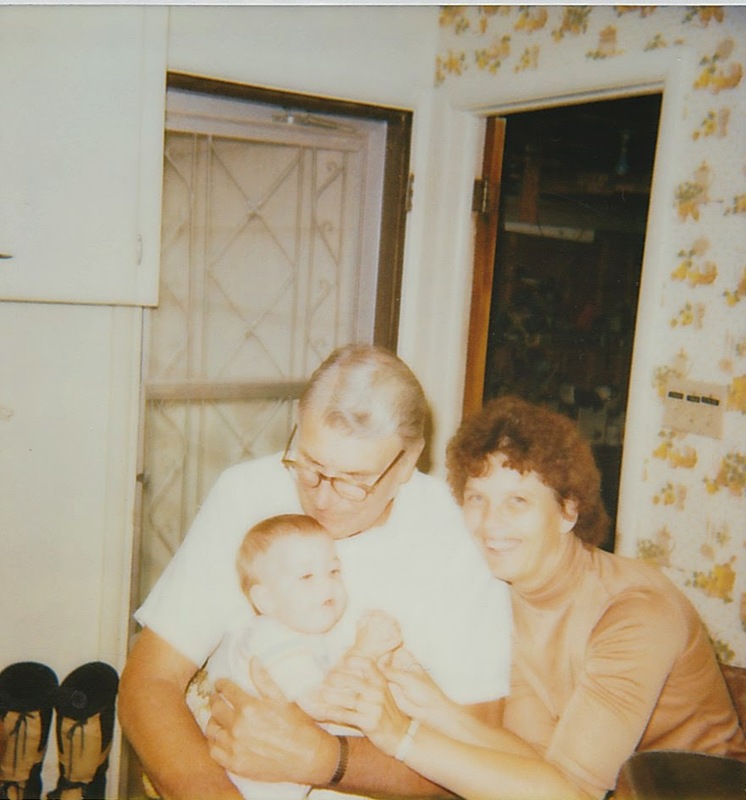 This, as far as I know, is the very first photo taken of my grandparents and I.
I’m so glad that I still have my grandmother in my life but I will surely miss my grandfather. I can’t wait to see him in heaven someday. You all look wonderful! Thank you for sharing the pictures. What special photographs to have! What treasures. I hope that you are coming through this tough time OK.
What a blessing to have those photographs and wonderful memories.